A CRIME OF PASSION FRUIT was a fantastic, fast paced story that had me flying through the pages. The mystery kept my attention and I was stumped about who the killer was. I was transported to a tropical paradise from the moment I saw the cover until the very last page. This is the perfect summer read, especially given that it takes place on a cruise ship! You will feel like you have been placed on a tropical island. Jules treats everyone like they are family. 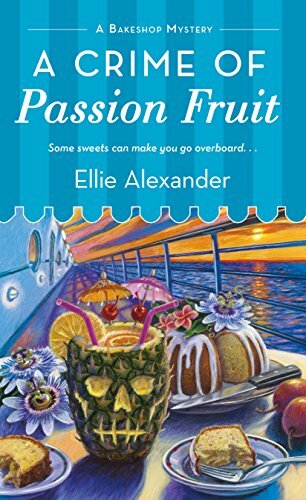 I wasn’t very far into A Crime of Passion Fruit before realizing that Ellie Alexander’s bakeshop series would become a favorite of mine. Ellie Alexander’s prose has a lyrical quality to it with beautiful, rolling, descriptive passages. Very fitting for a novel set on a stormy sea cruise. The Bakeshop Mystery series is a great choice for cozy mystery fans with sweet tooths (sweet teeth? ), and this installment in particular makes the perfect vacation read! 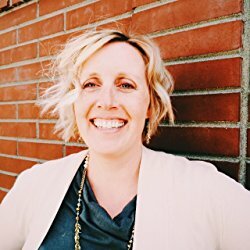 The authors description of the luxury cruise had me feeling transported and made me wonder if she has been a part of the culinary staff of a luxury cruise ship. Have read several other books in this series and thoroughly enjoyed them. Sounds like its time to catch up with this author again and where better than on a cruise. Thank you for the enjoyable review on A Crime of Passion Fruit by Ellie Alexander. I have not had the fortune to read any of this series and find I have missed out. The cover of the books is one that will catch any book shopper’s eye. I love the Bake Shop Mysteries and can’t wait to read about Jules’ cruise ship adventures! Interesting cover. I would love to win a copy. Great review and great book! Can’t wait for the next book! I can imagine how many sweet treats are in this series. What fun a mystery on a cruise ship! Can’t wait to read it, here’s hoping.